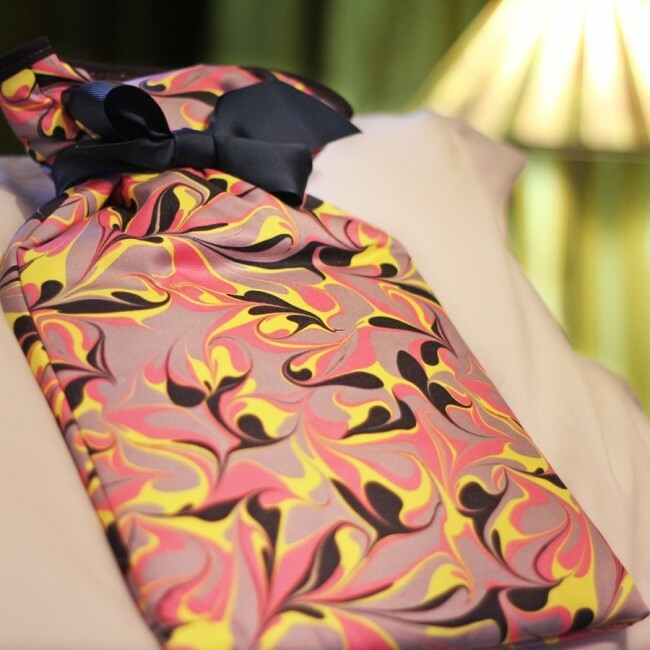 This is the perfect gift for someone that wants to beat the winter blues in luxury and style. 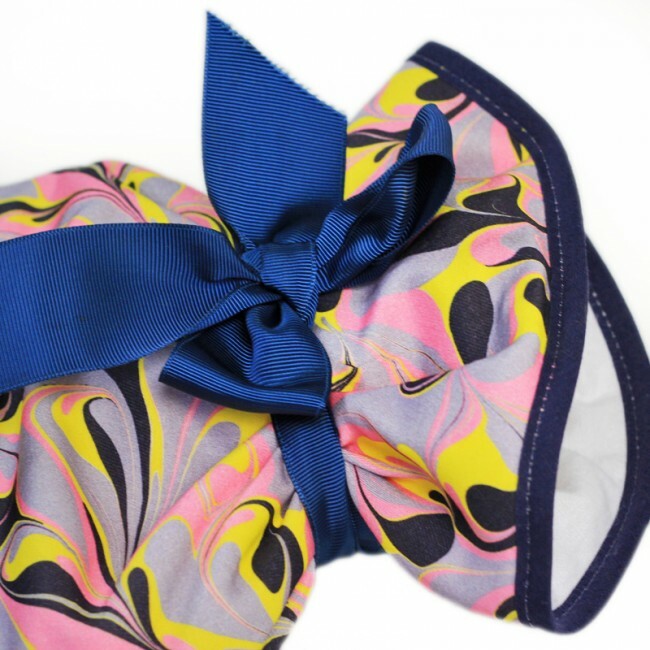 The beautiful and original hand marbled design comes from the award winning British designer Janey Whitehorn. The design is created using rakes and styluses in the traditional marbling method. This product is entirely British made. 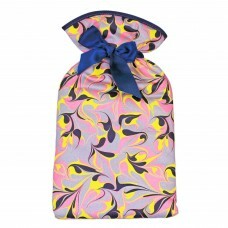 The Amalfi marbled hot water bottle cover is pink, dark navy, grey and yellow in colours. It has navy trim and a wide dark blue ribbon. Inside there is a padded cream brush cotton lining and has a cream rubber hot water bottle. This product is also available in the Bergen design on the Whitehorn storefront. 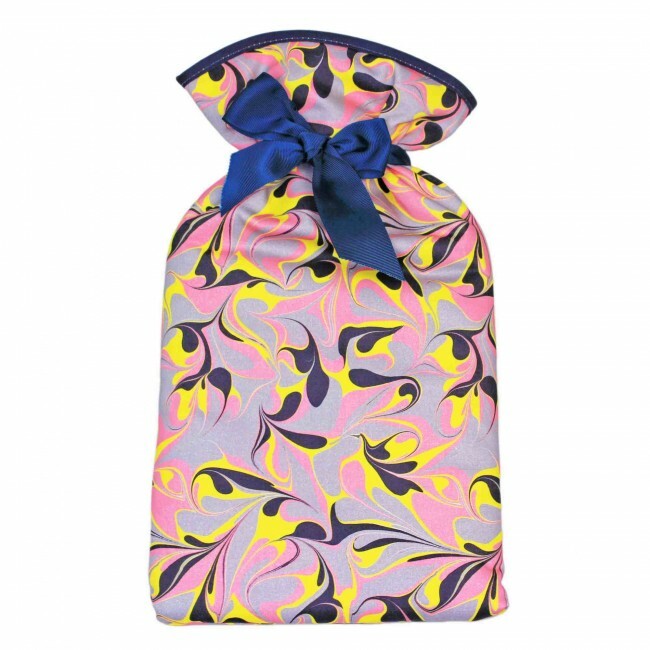 Each hottie is packed in coral coloured tissue paper and tied with a navy ribbon, making the perfect gift for the cold weather.